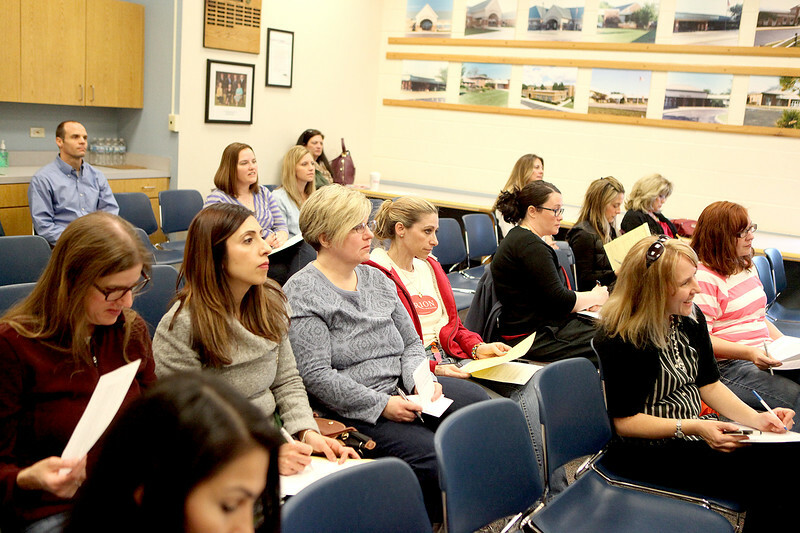 Members of the St. Charles School District 303 district PTO listen to a forum for District 303 school board candidates at the St. Charles School District 303 Administration Center Wednesday morning. The forum was hosted by the district PTO. Nine candidates are vying for three seats. They are: Kathy T. Hewell, Rick Leidig, Lowell Yarusso, Stephen Bruesewitz, Michael A. Vyzral, Judith McConnell, Jennifer Ann Reeder, Lori Linkimer, Nicholas P. Manheim.